MINAL APPELLATE JURISDICTION CRIMINAL APPEAL NOS.1432-1434 OF 2011 STATE OF U.P. Vs. : SUNIL . Petitioner: MINAL APPELLATE JURISDICTION CRIMINAL APPEAL NOS.1432-1434 OF 2011 STATE OF U.P. 1. Present appeals have been directed against the judgment dated 23rd May, 2008 passed by the High Court of Judicature at Allahabad in Criminal Appeal No.2968 of 2007 with Criminal (Jail) Appeal No.2757 of 2007 and Capital Reference No.12 of 2007, whereby judgment and order dated 04.04.2007 passed by the learned Additional Sessions Judge, Etawah in Sessions Trial No.424 of 2000 was set aside and the accused- respondent was acquitted of the offence punishable under Section 302 read with Section 34 of the Indian Penal Code. Capital Sentence Reference for confirmation of the death sentence was consequently rejected. 2. Brief facts necessary for adjudication of the present case are as follows: One Kumari Rekha Sengar (PW-2), who is the complainant in the present case, got a phone call from her mother Smt. Shashi Prabha (now deceased) at about 11.00 to 11.30 pm on 02.09.2000 narrating that complainant’s brother-in-law (Jeeja), namely, Suresh Pal Singh @ Guddu along with his friend had come to their house in Etawah, Uttar Pradesh, demanding Rs.50,000/- from her father and on refusal to meet the demand, they became very angry. The complainant herself had a talk with her brother-in-law and tried to pacify him but she failed as he cut the telephone call. Later when the complainant failed to have further communication on telephone, she left for her parents’ house from Delhi. On reaching her parents’ house she saw dead bodies of her father, mother, two sisters and their pet dog. Law was set into motion after an FIR was registered by the complainant on the basis of written report. The said Suresh Pal Singh was arrested on 04.09.2000 and on the basis of the confessional statement made by the accused, a knife, blood-stained clothes and other articles were recovered by the Investigating Officer (PW-7) in the presence of PW-4 and recovery memo Ext. Ka-8 was made. Involvement of respondent herein was also unearthed on the basis of the said confessional statement. After conclusion of the investigation charge-sheet was submitted before the learned Magistrate who committed the case to the Court of Additional Sessions Judge, Etawa, U.P. Accused Suresh Pal Singh died during the trial and therefore criminal proceedings against him stood abated. The Trial Court convicting the accused Sunil under Sections 302 & 429 read with Section 34 of IPC and awarded death sentence to him and imposed a fine of Rs.500/- for offence under Section 429 of IPC. 3. Being aggrieved, the accused-respondent preferred Criminal Appeal No.2968 of 2007 and Criminal (Jail) Appeal No.2757 of 2007 before the High Court. Capital Sentence Reference No.12/2007 was made by the Additional Sessions Judge, Etawa. The High Court by its judgment and order dated 23rd May, 2008 set aside the order of conviction and sentence passed by the Trial Court and acquitted the accused- respondent. Consequently, Capital Sentence Reference No.12 of 2007 was rejected by the High Court. Hence, the State of U.P. and the complainant are before us by filing Criminal Appeal Nos.1432-1434 of 2011 and Criminal Appeal Nos.1423-1424 of 2011, respectively. 4. We have noticed that the High Court had allowed the criminal appeal of accused-respondent on the basis of failure on the part of the prosecution to prove its case beyond all reasonable doubt and on the basis of circumstantial evidence. The High Court in its finding made four important observations: (i) Evidence of PW-2 cannot be used against respondent herein for the reason of improvement in statement; (ii) The testimony of PW-1 showing his conduct as against human nature is not worthy of credence for the reason that he did not actually see the accused persons; (iii) Evidence of recovery of weapon and other articles may be relevant, but could not be relevant against accused-respondent herein; and (iv) Adverse inference cannot be drawn by the Court on refusal to give specimen palm impression in spite of the order of the Court. 6. Learned counsel for the State of U.P. concluded his arguments by submitting that the prosecution version was not only corroborated by medical evidence of PW-5 and PW-6 but was also confirmed by FSL Report, which proved presence of human blood on the weapon of murder and clothes of both the accused. Since comparison of finger-prints and foot-prints were not clear, the Trial Court directed both the accused to give fresh foot-prints and finger-prints. On refusal to comply with this order by the accused for almost five years, even when the same was upheld in criminal revision before the High Court, the National Crime Records Bureau, New Delhi and the Trial Court had rightly treated it as an adverse inference against the accused-respondent herein. 7. Learned counsel appearing for the accused-respondent, on the other hand, submitted that the recovery of bag and articles (Ext.1) cannot be made admissible against co-accused who is respondent herein. Prosecution has not produced any witness or evidence to connect the accused-respondent with recovered bag or articles. The complainant (PW- 2) has also improved her statement apropos presence of the accused- respondent. But, surprisingly, there was no mention of name or other details of the accused-respondent either in the written complaint/FIR or in the statement made before police. Learned counsel for the accused-respondent stoutly defended his client by concluding that drawing adverse inference against the accused due to his refusal to give specimen palm impression was not justified as earlier palm impression report came in negative and application moved by the accused praying for sending footprints and fingerprints to some other laboratory was rejected by the Trial Court vide order dated 09.01.2007. 8. After careful perusal of the evidence and material on record, we are of the considered opinion that the following question would play a crucial role in helping us reaching an upright decision: Whether compelling an accused to provide his fingerprints or footprints etc. would come within the purview of Article 20(3) of the Constitution of India i.e. compelling an accused of an offence to be a “witness” against himself? 11. 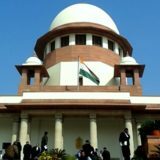 In Selvi Vs. State of Karnataka, (2010) 7 SCC 263, a three-Judge Bench of this Court while considering testimonial character of scientific techniques like Narco analysis, Polygraph examination and the Brain- Electric activation profile held that “145. The next issue is whether the results gathered from the impugned tests amount to ‘testimonial compulsion’, thereby attracting the prohibition of Article 20(3). For this purpose, it is necessary to survey the precedents which deal with what constitutes ‘testimonial compulsion’ and how testimonial acts are distinguished from the collection of physical evidence. Apart from the apparent distinction between evidence of a testimonial and physical nature, some forms of testimonial acts lie outside the scope of Article 20(3). For instance, even though acts such as compulsorily obtaining specimen signatures and handwriting samples are testimonial in nature, they are not incriminating by themselves if they are used for the purpose of identification or corroboration with facts or materials that the investigators are already acquainted with. The relevant consideration for extending the protection of Article 20(3) is whether the materials are likely to lead to incrimination by themselves or ‘furnish a link in the chain of evidence’ which could lead to the same result. Hence, reliance on the contents of compelled testimony comes within the prohibition of Article 20(3) but its use for the purpose of identification or corroboration with facts already known to the investigators is not barred. 12. Thus, we have noticed that albeit any person can be directed to give his foot-prints for corroboration of evidence but the same cannot be considered as violation of the protection guaranteed under Article 20 (3) of the Constitution of India. It may, however, be noted that non- compliance of such direction of the Court may lead to adverse inference, nevertheless, the same cannot be entertained as the sole basis of conviction. 15. 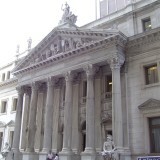 From a perusal of the evidence on record, it could without any hesitation be said that the basic foundation of the prosecution had crumbled down in this case by not connecting the respondent with the incident in question. And when basic foundation in criminal cases is so collapsed, the circumstantial evidence becomes inconsequential. In such circumstances, it is difficult for the Court to hold that a judgment of conviction could be founded on the sole circumstance that recovery of weapon and other articles have been made. 16. After examining every evidence and material on record meticulously and in the light of the judgments cited above, we are of the considered opinion that the prosecution has miserably failed to connect the occurrence with respondent herein. Resultantly, the judgment and order passed by the High Court setting aside of conviction order passed by the Trial Court is hereby upheld. 17. The appeals are, accordingly, dismissed. …………………………. ….J (Rohinton Fali Nariman) New Delhi; May 02, 2017.